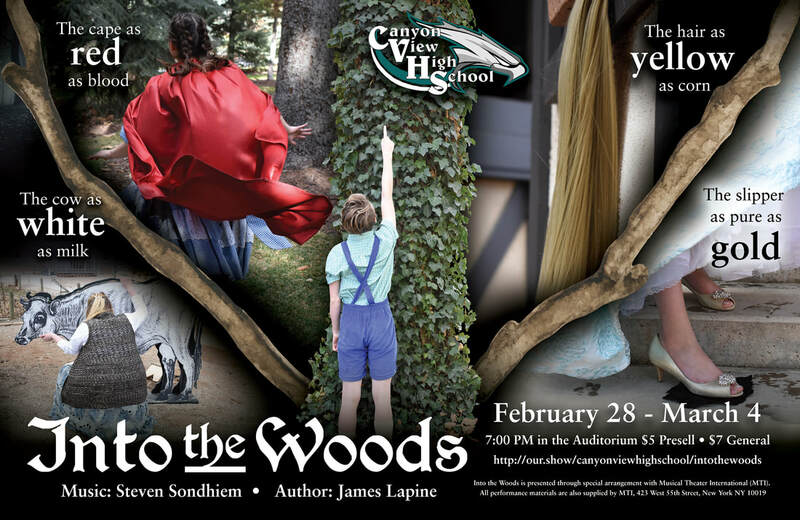 TICKETS FOR INTO THE WOODS CAN BE BOUGHT HERE: http://our.show/canyonviewhighschool/intothewoods for $5 general admission. After Feb. 28th tickets will be $7. CVHS students buy tickets from a cast member for a DISCOUNT!! *You do not have to audition to take a Theatre Class. You can take Beginning Theatre, Stagecraft, or Intermediate Theatre.